Introduction: The technical and scientific evolution is the greatest advance in dentistry since its regulation with the law 5.081/1966; however it is worth remembering that constant modernization of treatments brings along a proportional increase on the dentist’s responsibilities with his patient. The professional should always keep in mind that along with his hand ability, innovative techniques and the best material applied there is Deontology evaluating three areas: civil, ethical-administrative and criminal. It is the dentist’s obligation to follow and respect the deontological issue in a world where lawsuits against peers have increased exponentially. 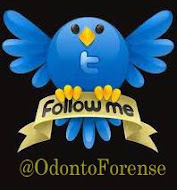 Objective and Conclusion: The presented study reports the relations in the Brazilian penal code concerning to criminal responsibility of the health professionals, analyzing the dental behaviors which, once applied, configure criminal types, subvecting the agent to the ecting the agent to the prosecution and trial of criminal Justice. A little known subvect hardly ever discussed in dentistry. Article published in: RSBO. 2013 Jan-Mar;10(1):96-101.